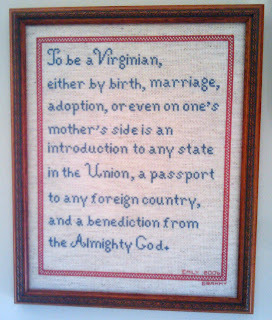 While in DC this weekend i came across a cool cross stitch at Emily's house. Her grandma made it for her 3 years ago. My great aunt has this cross stich as well and I'd love to have the pattern. Is there anyway you could connect me with that Grandma?